The Hunter model 44360 thermostat is an Energy Star-certified thermostat unit that offers a seven-day programmable feature, temporary vacation overrides, automatic daylight-savings settings and energy and filter monitoring. 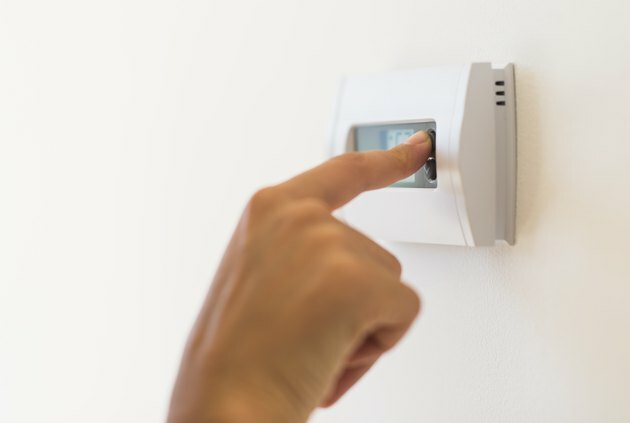 The Hunter thermostat is meant to be user friendly and is relatively simple to operate and change the settings as needed. Changing the thermostat on the Hunter thermostat 44360 takes only a few steps. Set the day and time by pressing the "Day/Time" button and the up or down arrows to set the correct hour. Repeat to set the minutes and the day of the week. Press "Hold/Return" to return to the main menu. Slide the system switch to "Heat" or "Cool" to program the desired setting and then press "Program". Press the up or down arrow to select the time of day to begin the desired setting. The day of the week will be indicated on the display. Press "Program" to move to the next setting. Press the up or down arrow to select the desired temperature and then "Program" to move to the next setting. Up to four settings can be set per day. Repeat steps 3 and 4 to set the programs for the remaining days of the week. Slide the system-selector switch to the opposite position and repeat the programming steps to set "Heat" or "Cool". 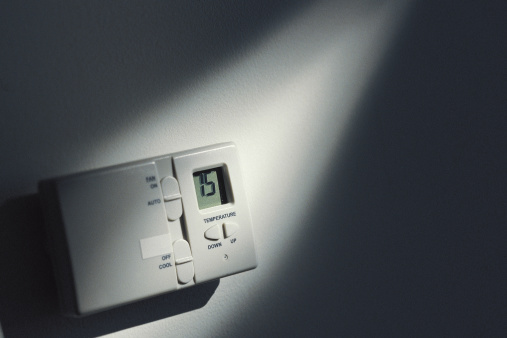 Override program schedules by pressing the up or down arrow at any time to increase or decrease the temperature on the thermostat. The thermostat will revert back to the program at the next scheduled time. Press "Home Today" to override the set programs for that entire day and then press the up or down arrows to increase or decrease the thermostat temperature. The system will revert to the normal programmed schedule at the start of the next day. Press and hold down the "Hold" button to enter the "Vacation Override" mode. Press the "Day/Time" button to set the number of days the temperature override should continue and the up and down arrows to set the desired temperature. The first number in the "Vacation Override" mode will display the number of days the override feature is set and the temperature is the desired temperature during the override period. The thermostat will revert to normal program settings after the last day of the override. Note that if your Hunter 44360 has a problem resetting to the normal setting after an override, you may have accidentally set the date and time wrong or set the thermostat to permanent override. Check for these problems in the settings to fix the problem.